Our Whovian coven had what we thought was a foolproof plan for dealing with the inevitable heartbreak of Matt Smith’s regeneration. But with all the excitement in the last week before the Series 8 premiere, I figured it would be almost impossible to avoid the spoilers from the Christmas special the way we did in the past eight months. I also realized that it would not be right to simply jump from Matt’s final episode straight to Capaldi’s first. I said that we needed to mourn Eleven properly, the way we did Ten. It was time to watch the special. And so… my hearts are breaking right now. We watched Smith’s goodbye two days ago, and I am still miserable. His last speech was, in my opinion, the best and the most wonderful ever. I’d seen memes of them before without knowing their significance. They resonated with me then, but I just thought that they were some beautiful quotes from Eleven that I missed. And that last line? I thought it was from an interview with Matt Smith about his time on the show. As one more eloquent fan put it, it wasn’t the Doctor saying goodbye to Clara. It was Matt Smith saying goodbye to us. That’s how good it was. 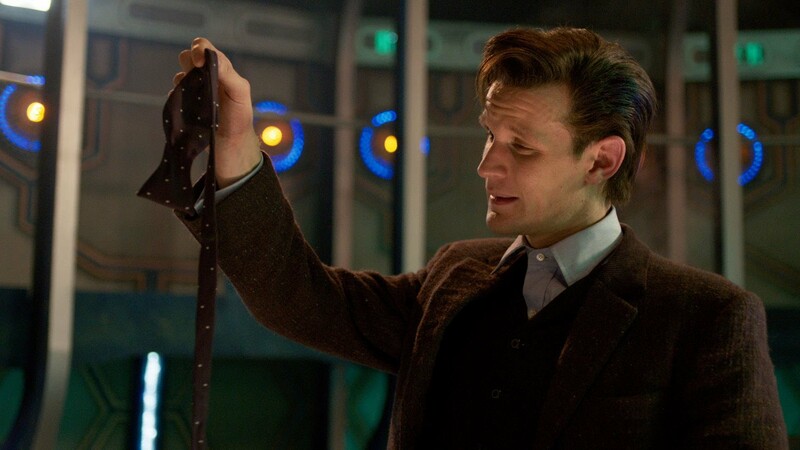 I’m looking through photos of the episode for this post, reading Matt’s final speech, and I’m crying again! There was supposedly a young girl who asked Matt during a panel why he was leaving her. I haven’t seen that clip, but I wonder if Matt will ever realize how much anguish all his fans felt and are still feeling about his departure. This is just not fair! Why did you leave me, Matt? Whyyyyyyyyyyyyyyyyyyy? You are my Doctor and you left me! Whyyyyyyyyyyyyyyyyy? Damn you, Steven Moffat! Doctor Who is the worst show ever! I loooove ittttttt. It all just disappears doesn’t it? Everything you are, gone in a moment like breath on a mirror. Any moment now, he’s a-coming. Yup. And I always will be. But times change and so must I.
Yep-you summed it up perfectly! I even waited until the same day you did to watch his last episode. Thanks for checking-out my brand new, barely born blog Doctor Who: On The Couch. So glad to know we weren’t the only ones who waited. I enjoyed your blog, thanks for checking out mine as well!